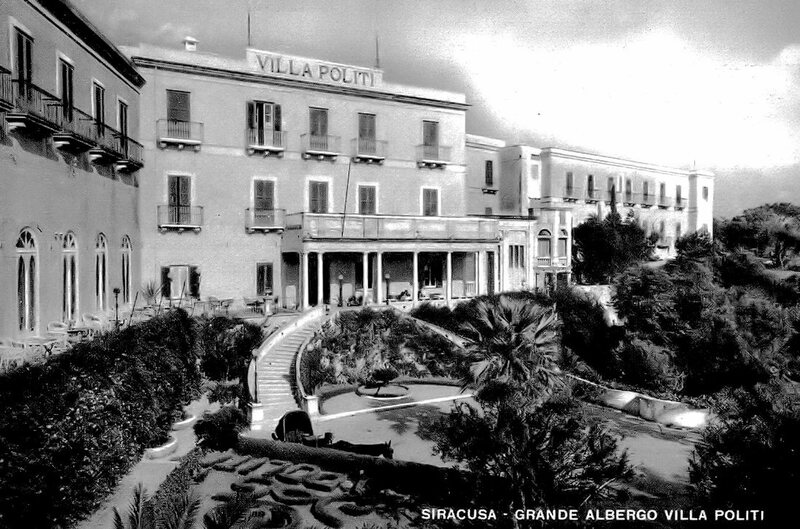 The Grand Hotel Villa Politi is itself a part of Syracuse’s rich history, thanks not only to its unique location in the Latomie dei Cappuccini but also to the villa itself, a former noble residence, frequented by a string of notable historical figures, heads of state and other dignitaries. The Austrian noblewoman Maria Teresa Laudien in 1862, after she met the man of her life, Salvatore Politi, Syracuse’s painter, founded Villa Politi, which quickly became an international leader thanks to its style and subtlety. It is and has been a meeting place for leaders in Art, Culture, Politics, and even Nobility with Princes, Kings, Presidents and Prime Ministers from all over Europe, having stayed here. A list of some of the dignitaries who have stayed here can be found below. Perched over the sparkling southern Mediterranean Sea, this historic 4 star hotel in Sicily was used as a base by Winston Churchill during the allied invasion of Italy. Today, the Hotel Bar is named after Sir Winston Churchill, as is one of our five Meeting & Conference Rooms. Winston Churchill said during his holidays in April of 1955 "I never rested so well in my life". Edmondo De Amicis had similar emotions when he wrote in 1906 of his "delicious hours... spent on the terrace of the Grand Hotel Villa Politi - ah this elegant villa that rises above the ancient ruins on rocks used by the Greeks thousands of years ago... Syracuse seen from this terrace seems floating as if sleeps, dreaming on the two thousand and seven hundred years of history". 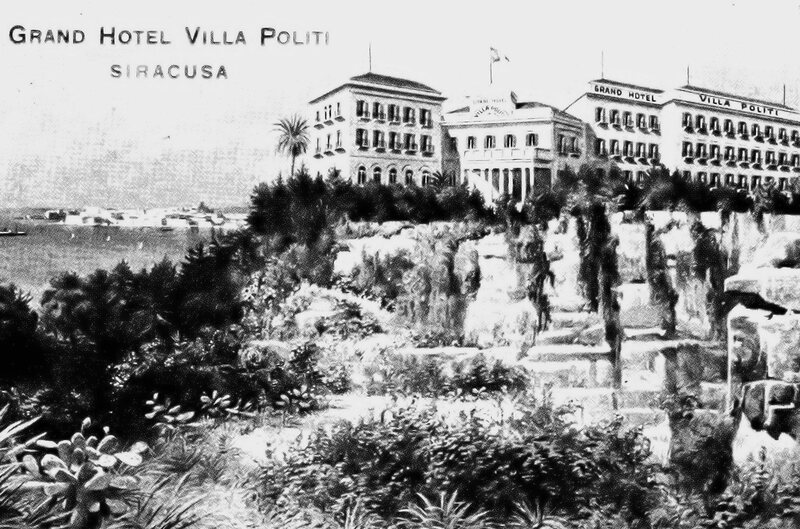 Villa Politi was built in 1862 by Salvatore Politi, one of a great dynasty of painters from Siracusa itself and certainly an integral member of the city’s aristocracy through the 19th century. The villa was designed by his wife, Austrian noblewoman Theresa L’Audien, after whom one of our majestic banquet halls and Restaurants is named. The stunning elegance of the Villa Politi is testament to the splendour and majesty of that golden age, between the renaissance and the WW1. One of the most magnificent buildings in Syracuse, with its mansard roof, great halls and grand opulence throughout, it’s easy to see why this unforgettable place was not just the residence of kings but also the muse of great poets.